A Dave Fanning piece in the March 31 1989 edition of the RTE Guide promoting a new TV show ‘Check It Out’ which will feature 2 tracks each from 14 up and coming acts. Dave details the bands in alphabetical order but runs out of space after 7. The profiled 7 are Belsonic Sound, Blue in Heaven, The Big Noise, The Carrellines, The DixonsThe Dixons, The Fireflys, The Golden Horde. The remaining 7 were Interference, Missing Link, Paul Cleary & The Partisans, Stars of Heaven, The Stunning, The Swinging Swine and Swim. Thanks to Dave for digging out and scanning this article.If you like retro scans be sure to check out Brand New Retro. Wednesday nights at 10.30pm TG4 are airing a 1987 RTE TV series produced by Frontier Films called ‘The Session‘. Recorded before a live audience the series features a mix of American and Irish musicians performing together. Our favourite episode sticks out like a sore thumb – a rock episode featuring 3 sets from Paul Cleary & The Partisans, Light A Big Fire and In Tua Nua. The series is well worth a second viewing (catch it on the TG4 player if you missed it) and we are hoping that TG4 might do some more poking around in the archives, a look at Anything Goes, Borderline or TV GAGA anyone? 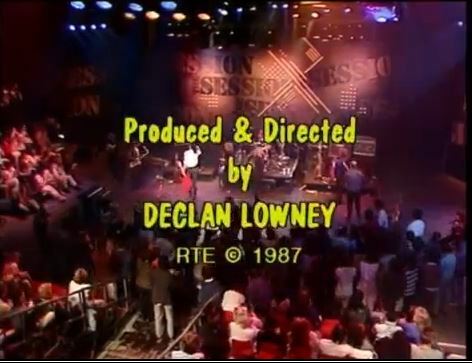 Season 1: Shot in the summer of 1987, the first programmes to be made in RTE’s spanking new Studio 4. 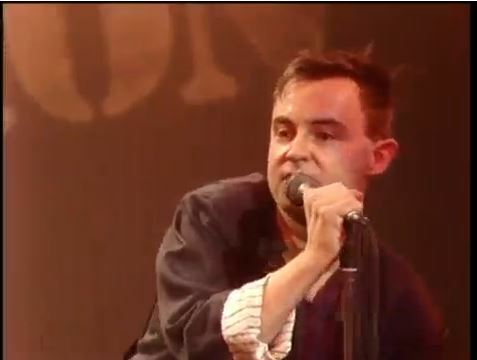 Season 2: Shot over three nights in the Point Theatre in 1988, the opening event in what is now called the 3arena. Programme 2 – Donal Lunny with Elvis Costello, Matt Molloy and Iarla O lianard. Programme 12 – Jack ‘Cowboy’ Clement, The Dead Cowboys featuring Don Everly, Jim Rooney and Philip Donnelly. A great piece by Colm O’Callaghan for The Blackpool Sentinel, ‘This is No Disco‘ prompted us to create a playlist of interviews and sessions from the much missed RTE TV show. ‘No Disco‘ was a no budget TV show produced by RTE Cork and presented by, in turn Donal Dineen, Uaneen Fitzsimons and Leagues O’Toole. While VHS is not our forte we have in the past managed to dig out a number of ‘No Disco’ recordings e.g. The Divine Comedy, The Harvest Ministers. Colm’s loose talk of mythical sessions by The Revenants, Edwyn Collins and John Hegarty mean another trip to the dreaded attic awaits. While on the subject of ‘No Disco’, producer Rory Cobbe was interviewed by Ray Wingnut for the first ‘An Ciaróg Eile’ podcast (skip to 29 min mark)..
We’ve long been a fan of Pat Clafferty. He first came to our attention with The Riordans. Next came Mexican Pets. And finally there was Wheel. All three bands recorded Fanning sessions but unfortunately as yet we only have The Riordans. The reason we mention Pat is because he is organising an evening ‘Celebrating Irish independent music from the 90s‘ in The Grand Social on 29th December at 8pm. Niall McGuirk of Hope and Paul Shanahan of Blunt will also be DJing. 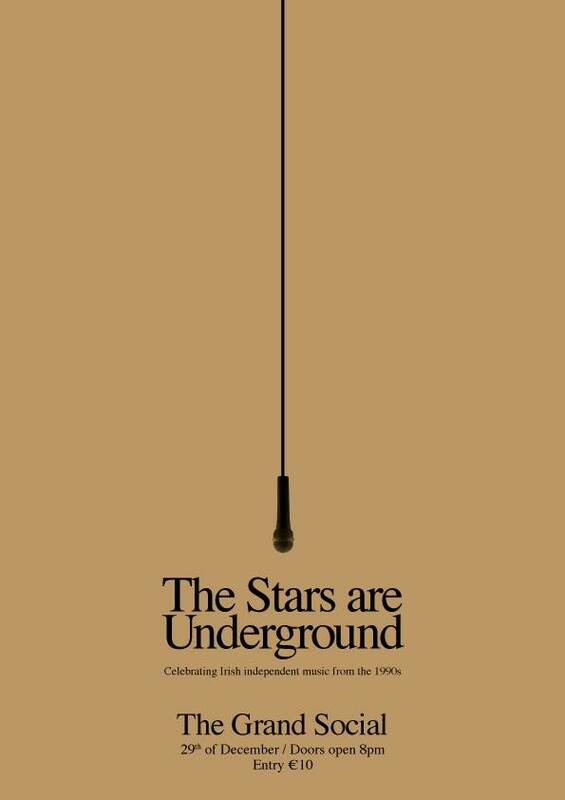 ‘The Stars are Underground’ is also the title of a 1996 documentary by Daragh McCarthy which features some bands who might make an appearance next Monday.. Two excellent sites you should check out are blunt and rekcollector. And it goes without saying if you have any Fanning sessions for us please get in touch.. Finally we have a track titled ‘The Stars are Underground’ from another Patrick Clafferty project, Reno 5. Recorded in London 1999, the band also features Michael Mullen, Ivan Birthistle and Ross Neville. 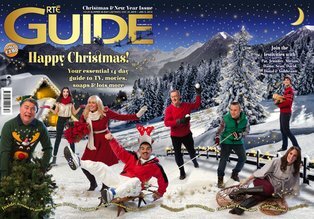 Like turkey & ham the RTE Guide is a Christmas tradition round these parts but finding the juicy bits sometimes takes a bit of work. Here are some of highlights from the 2013 edition. As you might guess end of year roundups feature strongly, if there is anything missing you know what to do.